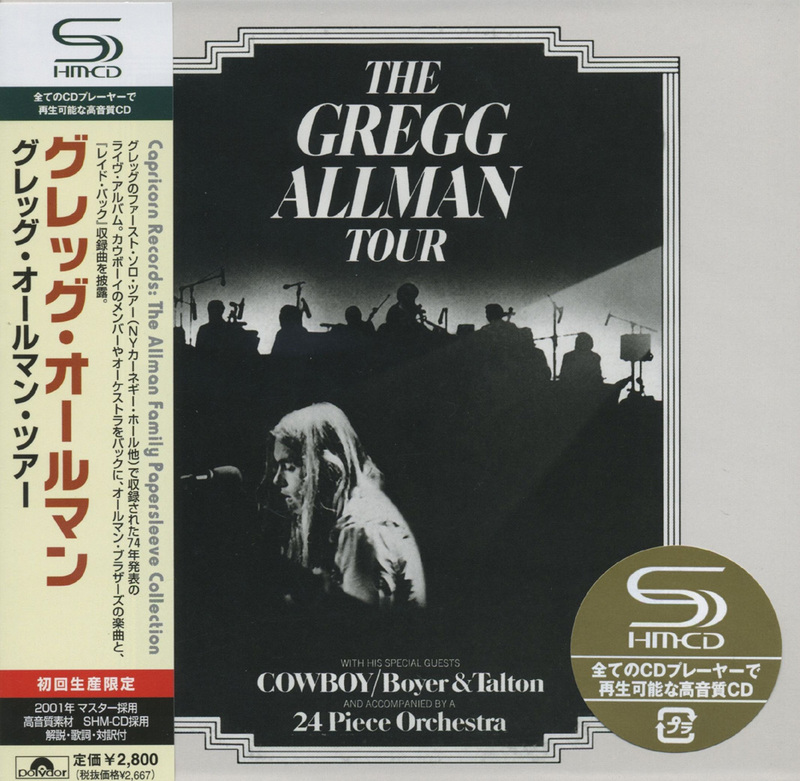 In 1974 Gregg Allman released The Gregg Allman Tour, a follow up double live album to his treasured 1973 solo release Laid Back. 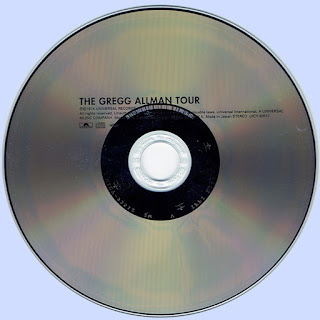 Taken from performances at Carnegie Hall, NY and the Capitol Theatre in Passaic, NJ, it features rootsy, jazzy performances that, like the album it partially celebrates, reveals the softer side of Allman’s creative spirit. 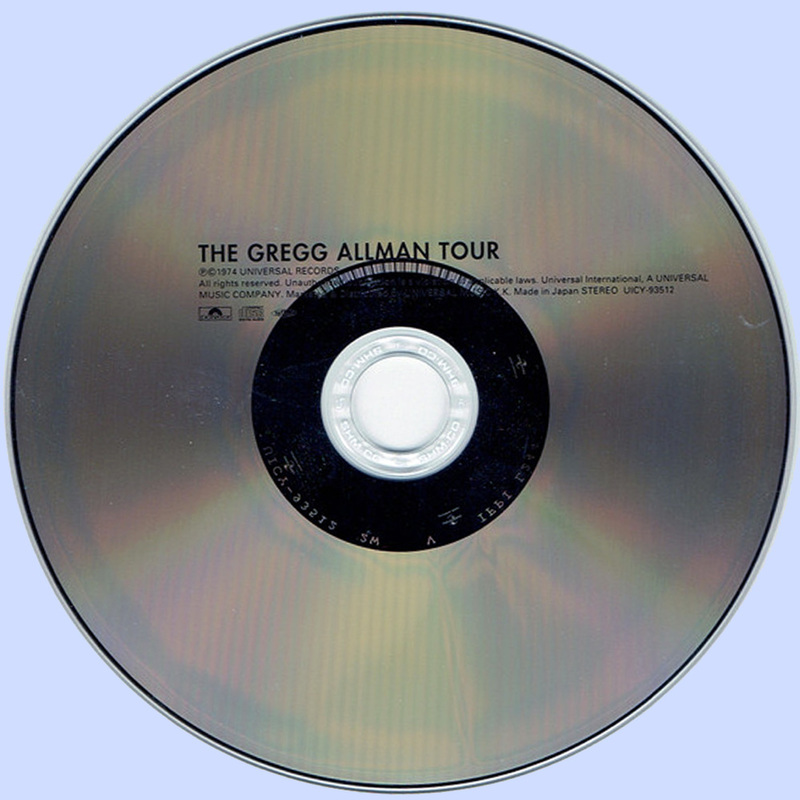 He was backed by Cowboy, a band who had been signed to Capricorn at the urging of brother Duane, and the album includes two of their own originals, “Time Will Take Us” and “Where Can You Go?” Also included are three Allman Brothers Band numbers and some traditional blues and Americana. Appearing along with Cowboy guitarist Tommy Talton and rhythm guitarist Scott Boyer are keyboardist Chuck Leavell and drummers Bill Stewart and Johnny Lee Johnson. Saxophonist Randall Bramblett shapes much of the album’s sound with a flurry of very spirited solos. The addition of breezy horns and a trio of female backing vocalists lend the recording a wonderful fullness. It is a varied and enthusiastic performance that covers the many colorful dimensions of Allman’s musical pallette and is a must listen for any true fan of the Allman Brothers Band.